At this point it is impossible to think of ‘Cars’ without taking into account the ‘merchandising’: each new release of the saga is for the company monstrous benefits derived from the sale of toys and backpacks. 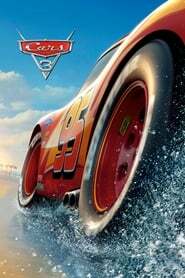 Understood as a financial operation, then, the new film is a triumph; for the rest, however, it is one of the less brilliant narrative exercises that Pixar is reminded of In particular, ‘Cars 3’ recycles without argument arguments elements of ‘Cars’ (2006): as in that first film, the hero Lightning McQueen must prepare for the great race and rediscover self-confidence. But if then the trip was essentially mental – it was about learning the value of respect and teamwork – now it incorporates a physical preparation component that director Brian Fee uses to put to work several clichés typical of sports cinema. Specifically, the film borrows a premise that conveys several of the deliveries of the Rocky Balboa saga: the old dog that must adapt to the new times and fight to regain supremacy in a competition that seems to have forgotten him. The difference is that what is defended here is the importance of knowing when it is time to hang up your boots and do it with dignity.